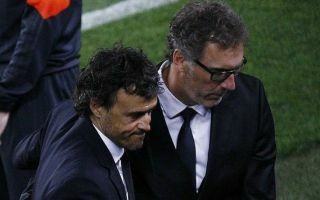 Chelsea are reportedly edging closer to appointing Laurent Blanc as their new manager after further talks and with the Frenchman identifying an assistant. A deal had been held up by Blanc’s desire to bring in the appropriate right-hand man, having now settled for Franck Passi after missing out on Jean-Louis Gasset, according to the Daily Express. The report also mentions how moves for other managers have fallen through, with former Barcelona boss Luis Enrique too expensive for the Blues, while they also don’t want to pay Maurizio Sarri’s Napoli release clause. Blanc doesn’t look the most inspiring option for Chelsea on the face of it, with the Frenchman’s main success coming as manager of Paris Saint-Germain, where he enjoyed considerably more in the way of money to spend on players than the rest of Ligue 1. The 52-year-old also arguably didn’t impress too greatly when in charge of the French national team, and fans would surely have preferred a more innovative appointment like Sarri. Still, any change seems necessary for Chelsea after last season’s major dip in performances under Antonio Conte.